Too much to do. To many places to go. Not enough time. BizyBizy taps into the emotional stresses of everyday urban life that we can all relate to. 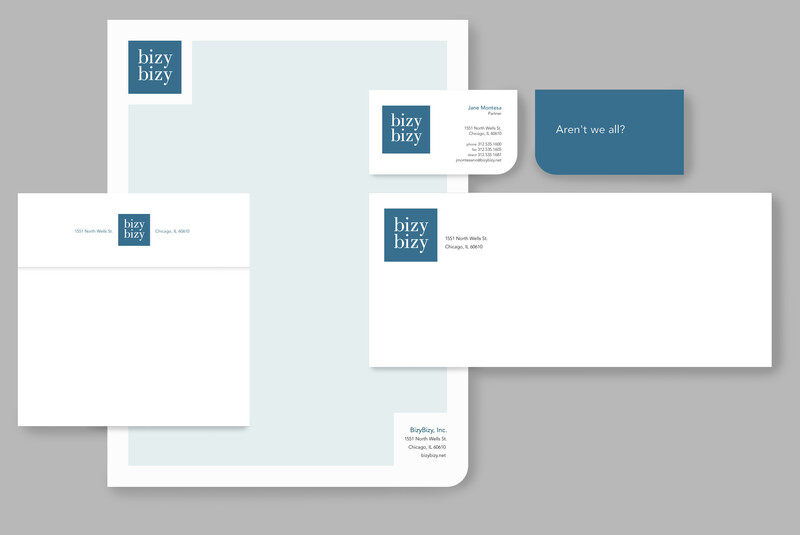 This “biz” is the company that helps to make your busy day a little easier. 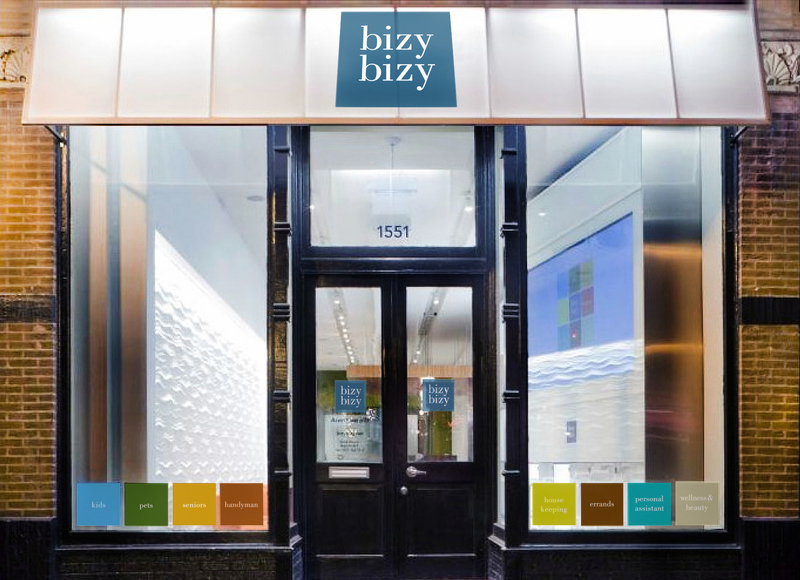 Defining itself as an "Urban Lifestyle Management" company, BizyBizy catered specifically to sophisticated city dwellers. 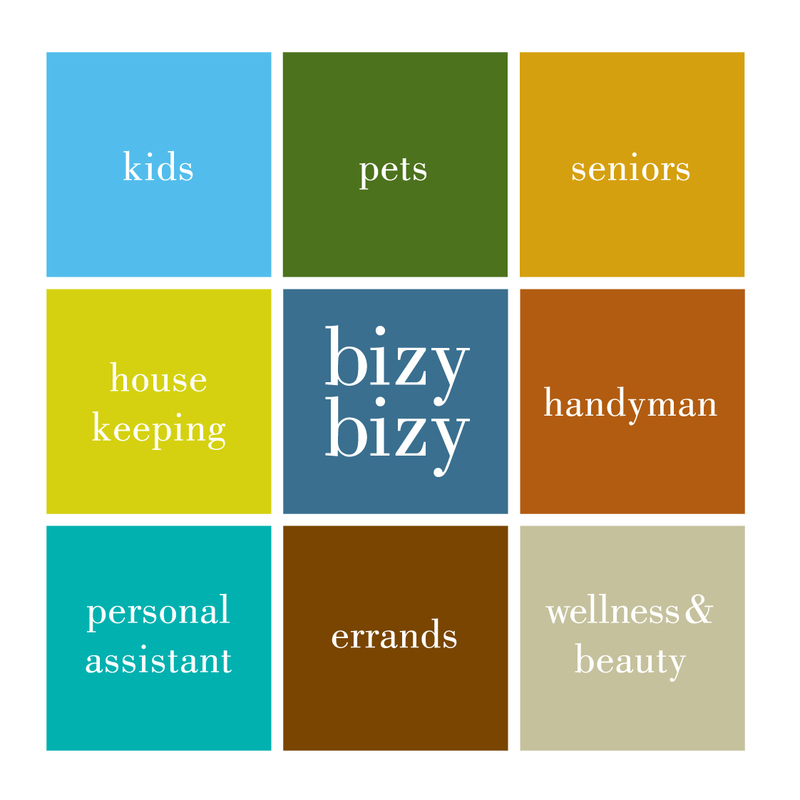 BizyBizy was a collection of urban-centric services that helps you get all those little things done, freeing you up to enjoy all that city life has to offer. At Sdg, we came up with the name of the company, as well as its tagline and key brand positioning. uniforms, fleet graphics and retail branding. Use of dimensional die-cut created dynamic interest and took the piece to a new level. The alternating 3-D squares reinforced the service matrix and emphasized the core brand. 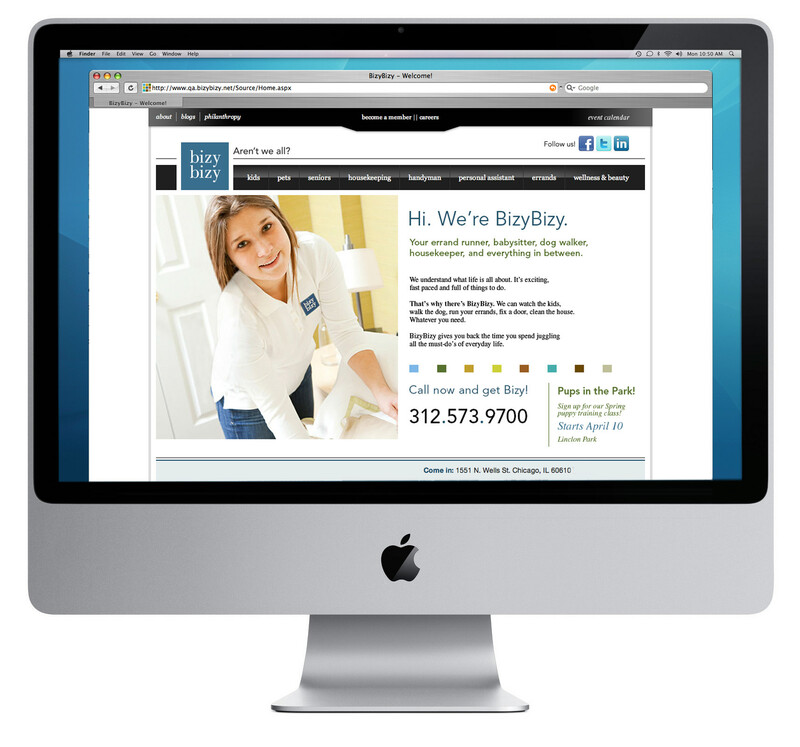 Website allowed customers to log in to create, schedule and manage their own list of "to-dos"
from a host of services based on their needs. 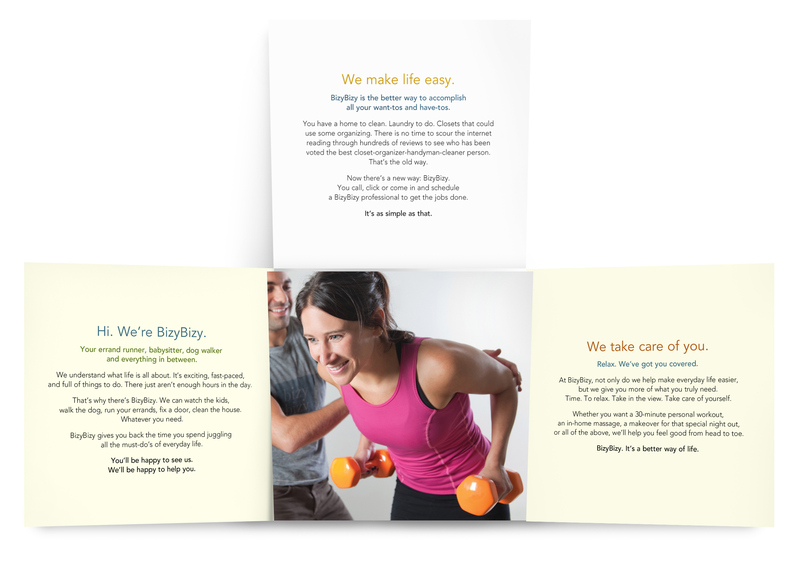 This small format iron-cross folded brochure set the tone and personality for the brand. Casual, relaxed and friendly, these piece appealed to the practical and emotional needs of its audience. 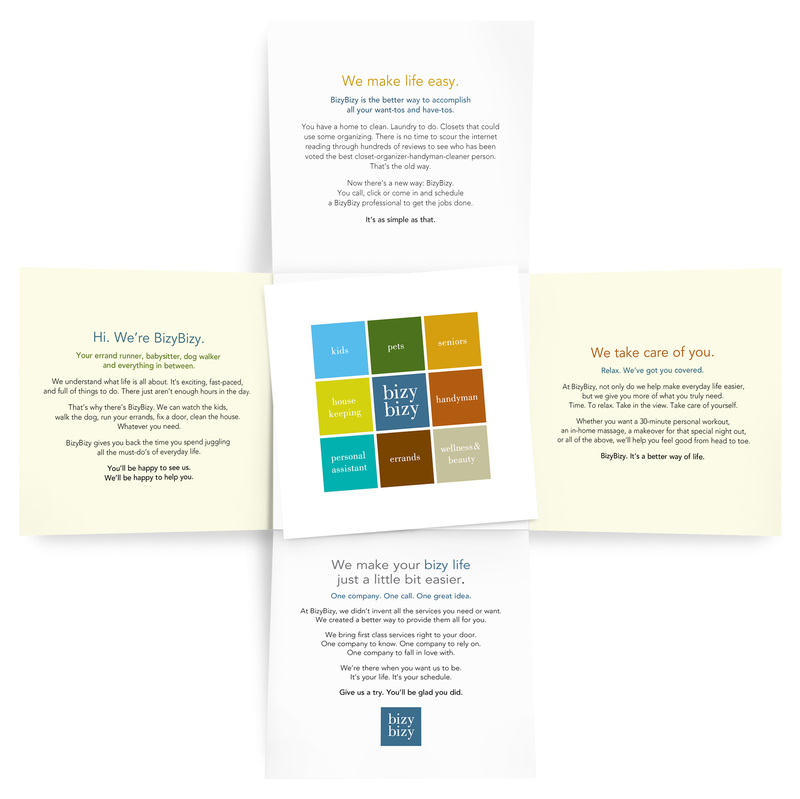 This brochure was printed with separate covers to target urban families and young urban professionals. 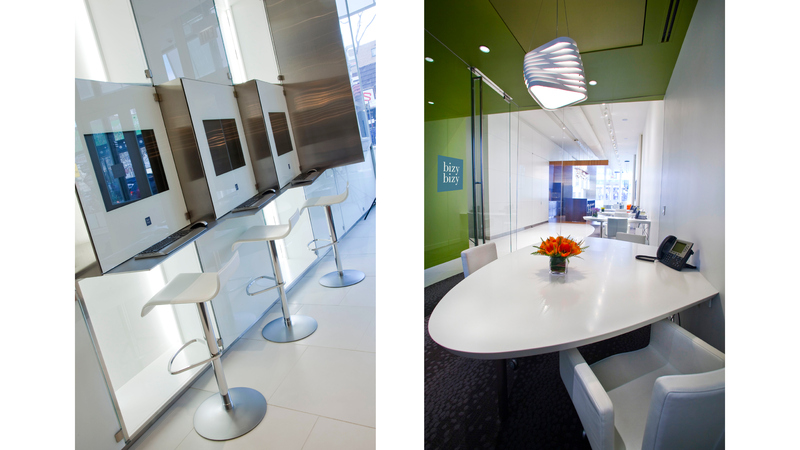 BizyBizy's anchor store featured interactive kiosks for appointment setting and scheduling. 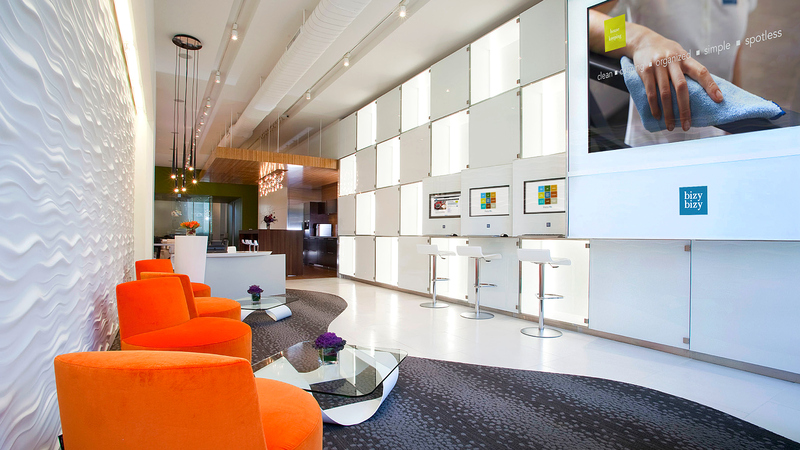 The space also featured 109" plasma screen which displayed a video wallscape of service offerings by category. Looping reel of service offerings by category, featured on in-store 109" plasma screen. The video was designed to slowly resolve, creating an unobrusive wallscape. 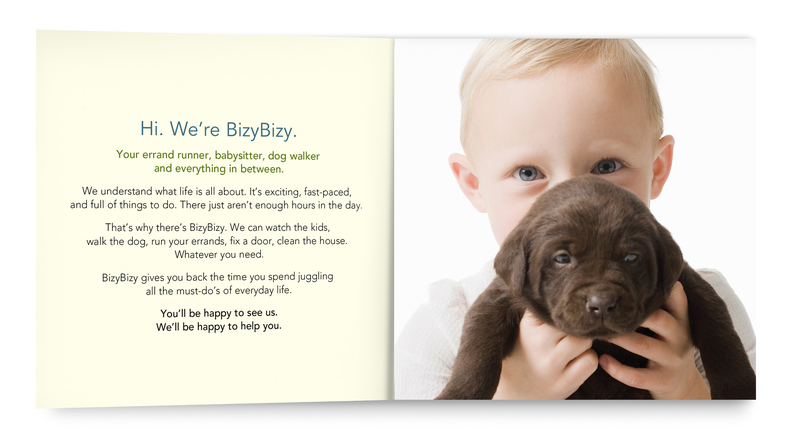 BizyBizy had fleet vehicles for the Handyman, Pets, Errand and Personal Assistant categories.